Super Savings Item! Free Shipping Included! 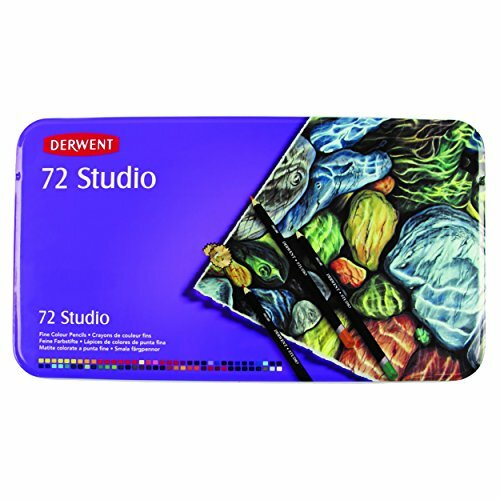 Save 31% on the Derwent Studio Colored Pencils, 3.4mm Core, Metal Tin, 72 Count (32201) by Derwent at Stickman's Blog. SKU: reikos_0019522742AM_0002725. MPN: 32201. Hurry! Limited time offer. Offer valid only while supplies last. A range of vibrant colors in matte-black pencils with color-coded lacquer dipped ends. Created for professional artists and graphic designers. A range of vibrant colors in matte-black pencils with color-coded lacquer dipped ends. Created for professional artists and graphic designers. Pencils are already sharpened and come stored in a neat tin container.